Chris has a broad range of experience in developing mineral projects across the globe. This experience covers the spectrum from greenfields exploration to advanced project development. Chris has a strong technical background and has successfully driven projects through to the development stages including a very successful track record of expanding resources by using innovative and out of the box thinking. Chris has experience in capital raising both privately and publicly, assisted in the founding of public junior mining companies and the sale and acquisition of mineral properties. Chris emphasises risk management, developing and managing an exceptional technical team and well-strategized project generation, with a clear focus on developing and capturing value for shareholders. He was the CEO/Director of Revere Development Corp. and Vice-President of Exploration for MinQuest Ltd.
Liz is a Professional Geologist with a solid background in capturing value from Alberta’s energy industry. Liz brings this experience to the E3 Metals team as she drives the technical team towards the development of our lithium brine projects. As a great believer in collaboration, Liz is focused on maximizing asset value through technical excellence and creative cooperation between disciplines. Working across Western North America, Liz has gained a foundation of technical experience with oil and gas majors such as Cenovus, Encana and Suncor. More recently, Liz was the founder and principal consultant at Castle Rock Consulting Ltd., which specializes in geothermal value creation for the energy industry in Canada. Liz is a Fellow of the Energy Futures Lab, and was honoured to receive a Young Woman in Energy Award in 2017 for her dedication to challenging industry norms by pursuing a broader energy mix in Alberta. Paul brings his over 30 years of experience in providing early stage project financing and advisory services. Paul’s experience and expertise in the resource exploration business includes Kokanee Explorations, Far West Mining and Bearing Resources. He is currently CEO of Sora Capital Corp, an Investment Issuer focused on the technology industry. He is also President of Vanhart Capital Corporation, a privately held investment company, specializing in funding and advisory services for early stage companies. Mike is an oil & gas executive and registered professional engineer with 35 years’ experience in founding, developing and managing profitable, growth oriented oil and gas companies. He has a solid track record in the evaluation, negotiation and acquisition of high quality oil & gas properties and joint venture opportunities. Formerly, Mike was the President of Bernum Petroleum Ltd, President, Director and Founder of Xergy Processing Inc and CEO, President, Director & Founder of Calahoo Petroleum Ltd., a TSX listed E&P company, sold in 2000 to Samson Petroleum for ~$130M. Peeyush has been actively involved in the capital markets since 1996 and has been a principal of Varshney Capital Corp., a private merchant banking, venture capital and corporate advisory firm since 1996. Mr. Varshney obtained a Bachelor of Commerce degree (Finance) in 1989 and a Bachelor of Laws in 1993, both from the University of British Columbia. 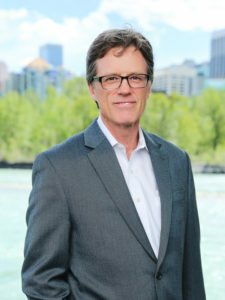 He then articled at a large regional business law firm in Vancouver, British Columbia, from 1993 to 1994, and has been a member of the Law Society of British Columbia since September 1994. Mr. Varshney is also director of TSX listed Mountain Province Diamonds Inc. and TSX Venture Exchange listed Canada Zinc Metals Corp. and Margaret Lake Diamonds Inc.
Greg has over thirty-seven years of business experience including upstream oil and gas, green technologies, industrial supplies, and agribusiness. In addition to 12+ years as a CFO, Greg has held a number of senior management positions including Corporate Secretary, Director Investments and Vice President Marketing and Corporate Development. His expertise includes finance and accounting, budgeting and forecasting, regulatory compliance, corporate finance, portfolio investment and management and corporate governance. Greg has sat as a director of public companies, private companies and not-for-profits. He is a member of the Chartered Professional Accountants of Alberta.